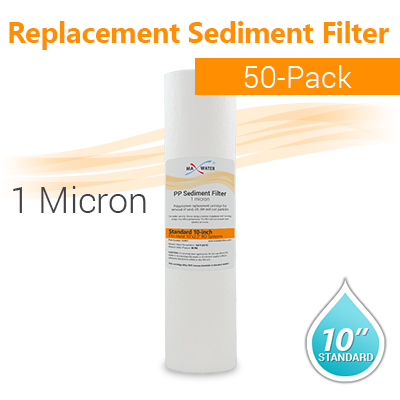 50 Pcs Spun Polypropylene Sediment Filter 1 Micron, size 10"x2.5"
Home > Water Filters > 10 x 2.5 Bulk Filters > RO Filters > 50 Pcs Spun Polypropylene Sediment Filter 1 Micron, size 10"x2.5"
The Max Water 1-micron sediment filter cartridge removes finer particles from the inflowing water than our standard filter and can be used as a standalone filter or as part a multi-stage filtration system. 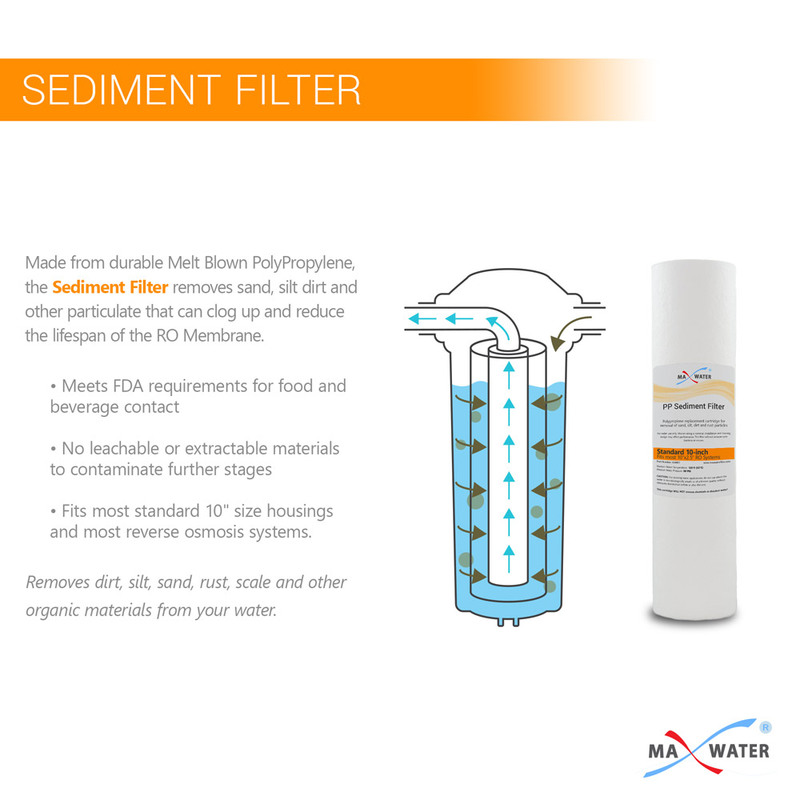 When using multiple sediment filter start with the largest filter size like our 5-Micron cartridge then move through finer filter to our 0.5 Micron PP Sediment Filter. Three-layers structure cartridge, High contaminant holding capacity. 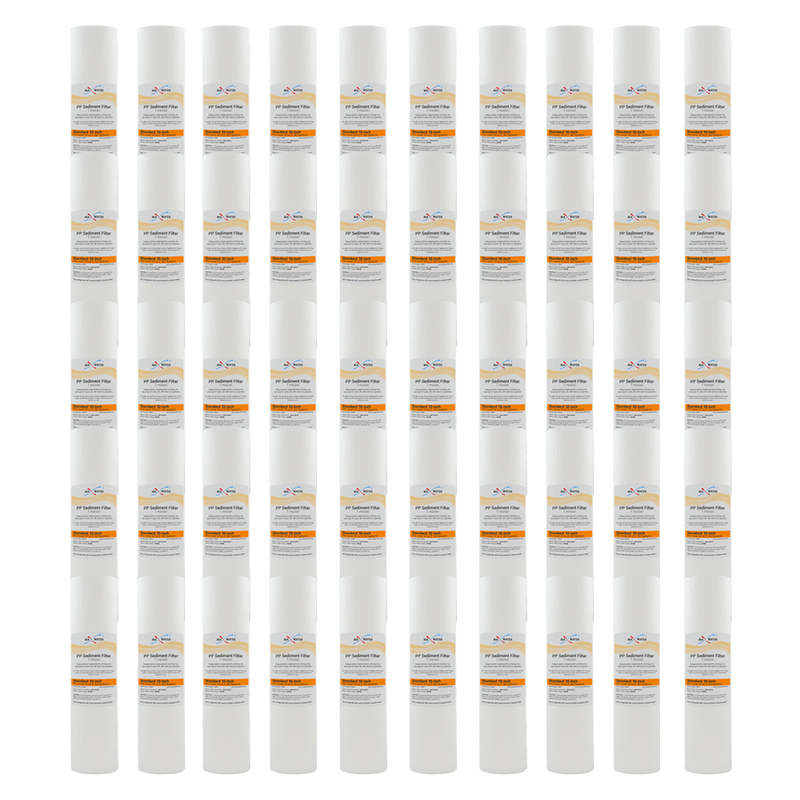 Physical Dimensions: 10" x 2.5"
100% PP Polypropylene for compatibility with a wide range of process fluids. 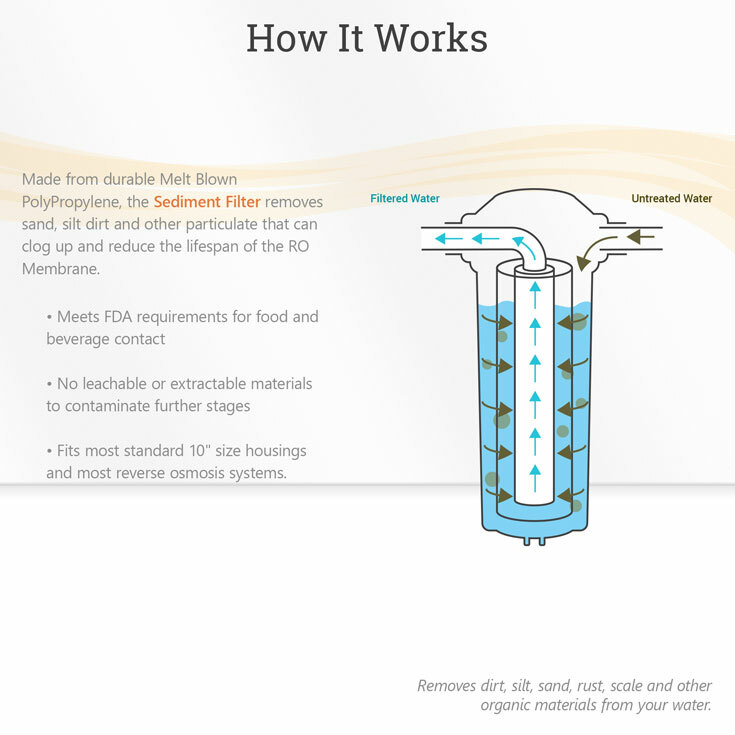 1-Micron, Micro-Denier™ melt-blown filtration fiber, high removal rating. Formed by thermal bond without use of any binders and adhesives. Lot of 50 filters, all filters are individually wrapped. 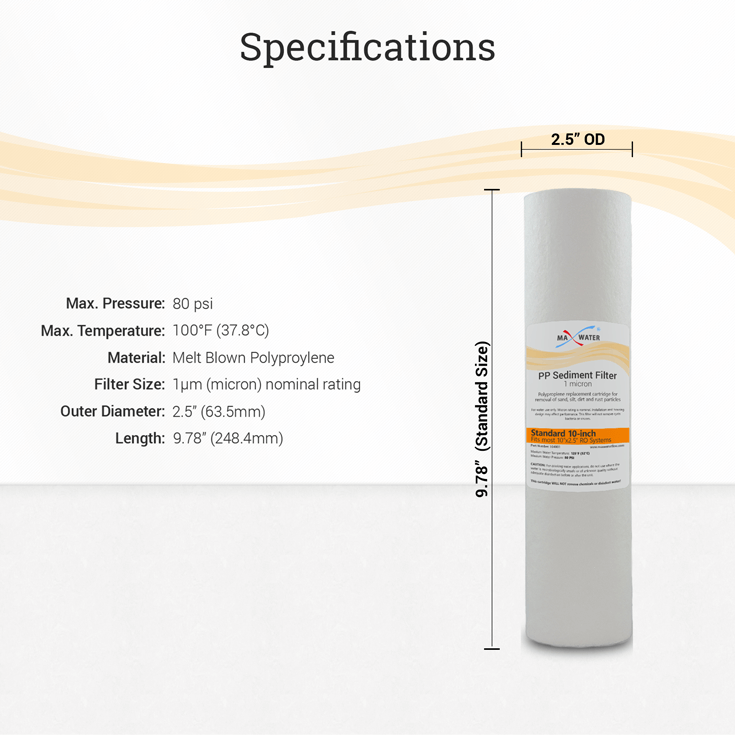 * Pressure drop will be determined based on feed water pressure, filter cartridge selection and port sizes, fluid viscosity, filter life and conditions. 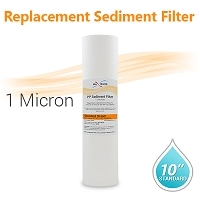 Spun Polypropylene Sediment Filter 1 Micron, size 10"x2.5"